HODEIDAH, 6th September, 2018 (WAM) -- Yemeni children, women and mosques are in range of fire from Houthi militias, due to their desperate attempts to cover their consecutive defeats on various battle fronts. Children and women, such as Sanbani Obaid, Fakeera Saeed and Somaya Saadan, are victims of the Houthi war machine, which includes fighters, ballistic missiles and mortars smuggled from Iran. Since its coup against the legitimate Yemeni government, the militias have targeted innocent civilians, as well as mosques, homes, schools and hospitals. 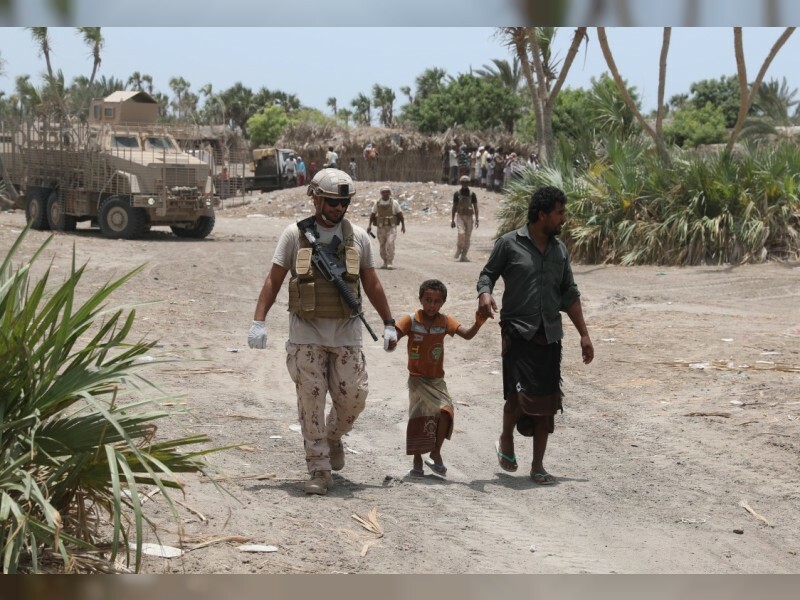 The militias recently bombed the liberated village of Ghalifqa in Ad Durayhimi District, Hodeidah Governorate, with an Iranian-made ballistic missile that killed a Yemeni child and injured dozens of civilians, including three who suffered serious injuries. The militias have violated international laws that criminalise the targeting of civilians and civil facilities during war. They also attacked Al Thawra Hospital and the fish market in Hodeidah with mortars, which led to scores of deaths and injuries. The militias injured the Yemeni child, Sanbani Obaid, with gunfire that struck him in the chest during a random attack on his family’s home in At Tuhayat District. The militias also bombed the house of the family of a Yemeni woman, Fakeera Saeed, with mortar shells, which led to a double fracture of her left jaw and a facial deformity, as well as deep cuts to her chest and scattered shrapnel in her body. Additionally, the militias targeted the house of the Yemeni child, Somaya Saadan, with mortars, which led to serious injuries to her abdomen, which could have led to her death. An international report revealed that Iran is still arming the Houthi militias in Yemen with ballistic missiles and aircraft, along with other weapons, in violation of Security Council Resolution No.2216, which prohibits the supply of arms to coup-supporting militias.